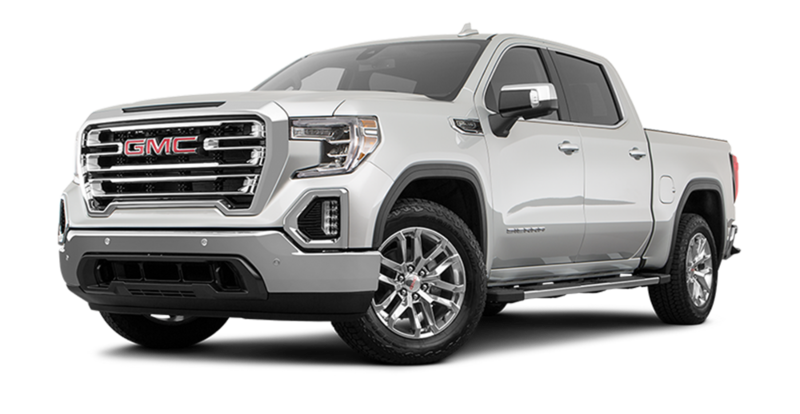 The GMC Sierra has been a staple in the pickup truck industry for decades, and the Sierra is sure to continue the glorious tradition of innovative vehicles. Designed with comfort and functionality in mind the GMC Sierra 1500 includes a five-passenger seating arrangement wrapped in ultra-premium materials to provide a highly comfortable ride. Make sure to check out the available premium GMC infotainment system and available ProGrade Trailer System. An essential part of any pickup truck is the truck bed, and the GMC Sierra has one of the most innovative truck beds on the market today. On the 2019 Sierra 1500, you will find the world's first six-function MultiPro Tailgate. With six configurations, you'll be able to maximize efficiency like never before. Simply put the Sierra’s performance blows the competition out of the water. Equipped with a V8 5.3L Ecotec engine and 12,200 lbs of towing capability the Sierra proves why it’s in the upper echelon of pickup trucks. All prices/payments require 2010 or newer trade. 1st payment, acquisition, security deposit, tax, title, registration and document fees are additional. Prices include all compatible rebates and discounts that all may not qualify for. Programs subject to change without notice. Please note that vehicle photo may be different than stock # shown. Residency restrictions apply. $299 documentation fee not included in final price. See dealer for details. STK# G15056. Sale Ends 04-30-2019.